The south is known for our hospitality so it should be no surprise that our sporting events are consistently ranked the friendliest and the classiest in the entire country. The food, the fashion, and the festivities are our very own triple crown. From tailgates to hospitality houses, southerner’s open our homes & front porches to patrons from around the world. Country Club sports are our specialty: with spring sporting events including derby’s, cups, tournaments, & championships. As with any other southern tradition both the food and the landscape are the soul of these great sporting events. Whether you have badges or are celebrating at home, the south’s sports culture can be embraced no matter where you are geographically, but one day we sure hope you come for a visit! Head on over to The Nooga Belle Podcast to hear Jaclyn's interview! 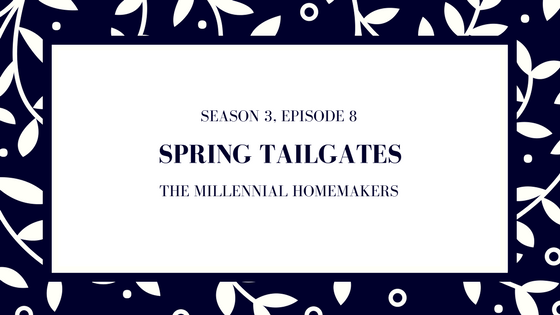 Check out both of our tailgating episodes!